Photograph This! : Oh magical Teapot grant me a wish. Like a magic lamp, this (magical?) 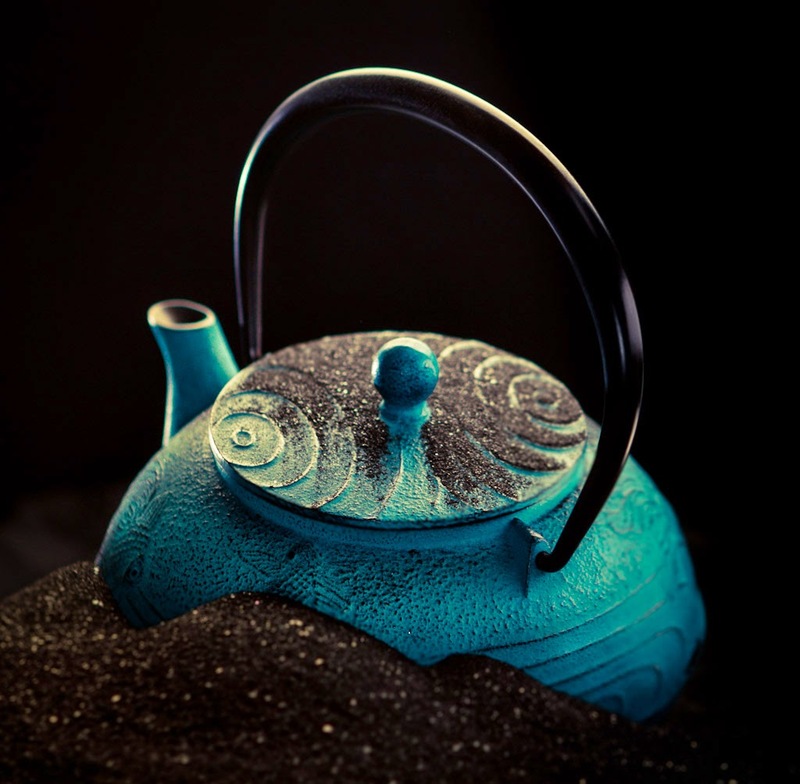 japanese iron teapot sits on a pile of black sand. This is a portfolio shot I did some time ago. Softbox from above, if slightly behind. Ringflash for fill and f2.8. The reflections on the handle come from the softbox and a few cards. I accentuated the nice turquoise hue in post.